There’s nothing like a whodunnit. Be it fact or fiction, the mystery, schadenfreude and a gut-punching emotional narrative make for an irresistible mix, and are vital ingredients in the guilty pleasure of peeping into humanity’s most nefarious practices. This almost universal fascination with the extremities of human behaviour is nothing new – crime novels have been enrapturing audiences for centuries. But the genre of true crime has enjoyed a purple patch on television of late and has stirred watercooler conversation like no other genre since reality TV steamrolled in during the late 90s. Indeed, with their prime element being to rubberneck at the lives of others, the two are perhaps more intrinsically linked than some may care to admit. Veteran documentary-maker Errol Morris’ 1988 film The Thin Blue Line made history when it cleared an innocent man, otherwise destined to serve a life sentence in prison, for the murder of a Texas police officer in 1976. With its use of reconstruction to create a full picture of the case, it uncovered a truth that would have otherwise gone unnoticed and serves as a prototype for today’s true crime documentary. The genre had a real blockbuster moment in 2015 with The Jinx and BAFTA-nominated Making a Murderer, both serving as an extra arm of the judiciary. The former, about the crimes of billionaire Robert Durst, plucked an admission of guilt from Durst and he was arrested for murder the day before its finale aired. Meanwhile, Laura Ricciardi and Moira Demos’ Making a Murderer series exposed the labyrinthine and arbitrary nature of the American justice system. Their chronicling of the arrest and conviction of Steven Avery and nephew Brendan Dassey, for the killing of photographer Teresa Halbach in Wisconsin, became an instant sensation when it was released on Netflix in December 2015; suddenly everyone had an opinion on the intricacies of US criminal law. There was a frenzy of speculation around whether Avery had killed, or whether he had been, as the show seemed to suggest, a victim of police misconduct. The series ended on an inconclusive note, but has since had a real-life impact: Dassey’s conviction was overturned. As they pick up the story for a second series (launched on 19 October), where mass interest now lies in the case, the directors’ methodical approach is as pertinent as ever. “We had to find a way to do the same intimate in-depth layered storytelling and yet be almost as current as the news,” Ricciardi explains. 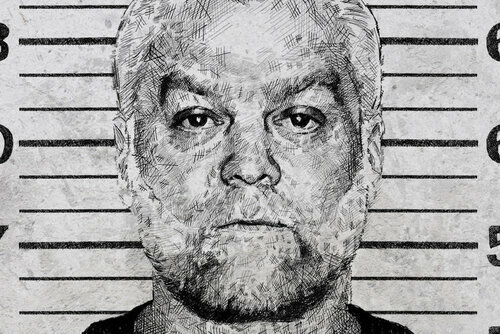 The Netflix platform allowed for greater experimentation with long-form storytelling, but Making a Murderer was nevertheless criticised for its one-sided approach and for preventing the Halbach family from having closure. In response, a follow-up docu-series by Transition Studios (which is not affiliated with the original programme-makers) is currently in production: Convicting a Murderer will examine the allegations of police wrongdoing and is due to air in autumn 2019. That sense of closure – the mystery being solved and the killer being caught – is of high importance to the viewer, too. The appetite for narratives that see order created out of chaos has also helped lead to a new era of popularity for the true crime genre, above all for series that examine criminal behaviour first-hand. BAFTA-winning director Daniel Vernon, series producer of The Detectives: Murder on the Streets, which shadowed members of Greater Manchester's Murder Investigation Team for a year, explains how we all have an emotional pull towards behaviour that feels so foreign to us. His four-part series in 2017 followed two cases: the killing of a 23-year-old homeless man and the search for a 48-year-old Bolton heroin addict, missing and feared dead through foul play. It was designed to show policing as policing is. The production team originally wanted to make a series solely about the murder detectives, but Greater Manchester Police declined. Indeed, the daily battle for access proved tricky. “I was in a meeting for a big murder job and said, ‘Anyone who doesn’t want to be filmed, move to the other side of the table’. All but one person moved. It was a bit of a wake-up call,” says Vernon. Giving time, respect and importance to all sides was paramount for the show. “We found some moments with the murderer to try to understand who they were and not just vilify them. Often they are a victim themselves,” he adds. Filming the hard-hitting series took its toll, but Vernon explains that it left him with more hope than it did despair. “I did see the police as heroic figures, because they didn’t see themselves as heroes. It made me want to show them in a true light,” he concludes. Dramatic reconstructions of true crime cases have proved equally compelling and continue to flourish thanks to such factual storytelling masters as multi-BAFTA winner Jeff Pope, who has taken true events and shaped them into coherent stories. The template was set in 1992 with Pope's first television drama, Fool’s Gold: The Story of the Brinks Mat Robbery, about the notorious warehouse theft at Heathrow Airport in 1983. Pope has seen an unbroken run of success since, with The Hunt for the Yorkshire Ripper, Appropriate Adult, Mrs Biggs, Lucan, The Widower, The Moorside and Little Boy Blue. A question lies over the ethics of transforming personal tragedies into public entertainment, but Pope’s projects are distinguished by the care with which he selects and researches his subjects. They are stories that linger in the public consciousness, but his angle is to offer a fresh perspective, and to show how the actions of the perpetrator affected those around them. It’s true that real-life events provide the most compelling drama. The knowledge that what you are watching actually happened inevitably provides an added dimension to the viewing experience. BAFTA-nominated Mrs Biggs cast new light on the Great Train Robbery by telling the story from the perspective of Biggs’s wife, Charmian (played by the BAFTA-winning Sheridan Smith). Similarly with Appropriate Adult (another BAFTA winner), Janet Leach, a shy trainee social worker and mother of five, was the prism through which we viewed serial killers Fred and Rosemary West. The appeal of such programmes lies partly in the demands that they make of their audience, asking us to question our morality. “There’s a massive responsibility when you’re telling someone’s story but, in the end, what people are after is the truth,” Pope says. Our fascination with true crime has inspired the creation of spin-off shows, such as Sky’s upcoming true crime reality series The Heist. It seems that thrill-seeking from the comfort of your own sofa has become de rigueur. Perhaps the current surge for true crime comes down, above all, to the fact that real-life stories are often much stranger than fiction. As true crime factual and fiction television evolves, it asks us to consider how we can both contribute to and learn from the most heinous deeds of our age. Rachel Ward writes about arts and culture for The Daily Telegraph.